Eras’ forthcoming Purified features seven collaborations with female vocalists. The dynamic femme ensemble that includes Alexandra Johnstone (White Dove), Anika Perkins, Big Bugs, and Deija Marie offer Hellenistic timbre to Nathaniel Eras’ subterranean IDM. On “Angels” its the gossamer vocals of Skin Town’s Grace Hall that glides over Eras ambient production. Her styling is reminiscent of Brandy circa “Sitting In My Room”, but exploring the temporal self’s impending limitation. 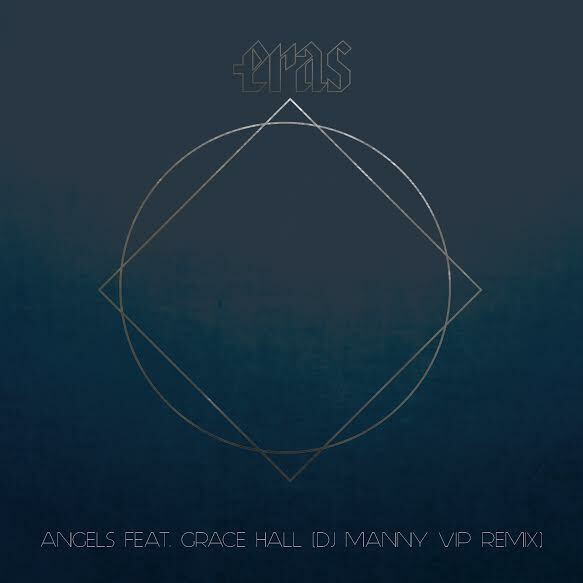 DJ Manny wisely lets much of the original breathe in his remix for Eras’ “Angels”. For two minutes, the original “Angels” is weighted in an ambient glitch, a time loop of Hall in a self-fulfilling prophecy of dying, until Eras bursts the atmospheric sound into a frenetic state. TEK Life’s DJ Manny stabilizes those ambient origins, while also picking up on the r&b subtleties. Hall is still terminal, but in the hospice of DJ Manny her final EKG has a busy pulse of ARP synthesizers. Eras’ Purified is out May 27 on Track Number.